I want to say a BIG thank you to Erica from Walking In My Shoes!!! The Liebster Award's origins are pretty much a mystery. Bloggers nominate other bloggers that have 200 or less followers. It's basically a "Hey, that's a sweet little blog you've got there. Here's an award!" You can't just accept the award. You have to play by the (ever changing) rules and pay it forward. Then you can put the award on your blog for all to see. 1. My all time favorite dessert is birthday cake with Blue Bell Homemade Vanilla ice cream. 2. I ran a half marathon a couple of years ago. I never thought I was a runner. One night after dinner I felt stuffed beyond my pants size. It was raining outside so I started running around my house. At first, it was just to laugh with my kids. Then I realized I really was enjoying myself. I started training the next day. My husband calls me Forest Gump now. 3. I am only 5'3" and my husband is 6'2". He is an entire head and neck taller than me. 4. I love to do laundry. I think it's the smell and the sense of completion when it's over. I look forward to laundry days! 5. I have had two miscarriages. The first one I was 10 weeks pregnant. The second one I was 4 months pregnant. 8. I love spicy foods. I could eat it everyday. Chips with salsa make me happy. 9. I am afraid of snakes....like phobia afraid! 10. I wear make-up every single day. Mascara and I are best buds! 11. I have little chandeliers hanging around my house because I like girly bling. What can I say? I'm a Texas girl! 2. Is there an animal you want but could never have? I'd love a big dog, but I'm lucky to have my little Maltese. My husband is not an animal fan. 3. What is your favorite TV show? Kathy Lee and Hoda. They make me giggle. We are so busy in the evenings that I don't really watch TV at night. 7. What is your lucky number if you have one? I'm not sure if it's lucky, but my favorite number is 5. 8. How many kids do you have/want? I have three kids. I always wanted 5, but we stopped after 3. 10. What year did you graduate high school? 1990 ... a long time ago! :-) Big, poofy hair was the style. I loved my Aqua Net hairspray! 11. What are your plans for tomorrow? I hope to go see my girlfriend who delivered twins today. 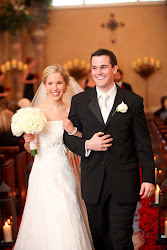 Congratulations Michelle and Will!!!! 3. What did you want to be when you were a little girl? 5. If you could meet anyone, who would it be and why? 6. What is your favorite decoration you have in your home? 7. What is your favorite color nail polish? 8. What is the craziest thing you have in your closet? 9. 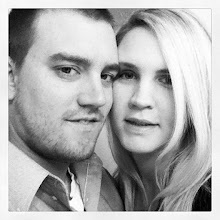 Where is your favorite place to go for date night? 10. Do you prefer chocolate candy or gummy candy? 11. Do you prefer to be barefoot or do you prefer to be in shoes? The 11 wonderful blogs I'd love for you to check out. 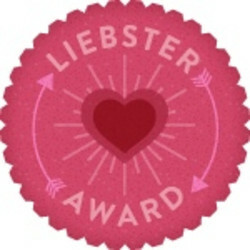 They have all been nominated by me for the Liebster Blog Award. Yippie! !